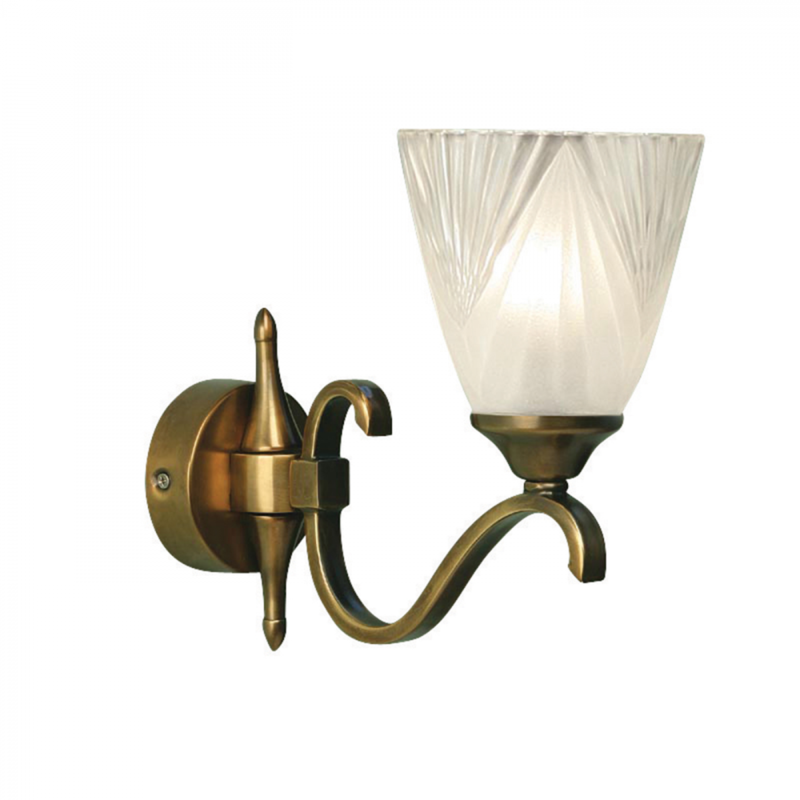 Elegant in appearance and design, this exclusive wall light is finished in antique brass and complemented by a beautiful art deco style glass shade. Matching items available and compatible with LED lamps. 22.5cm projection x 23cm height x 11.5cm width.